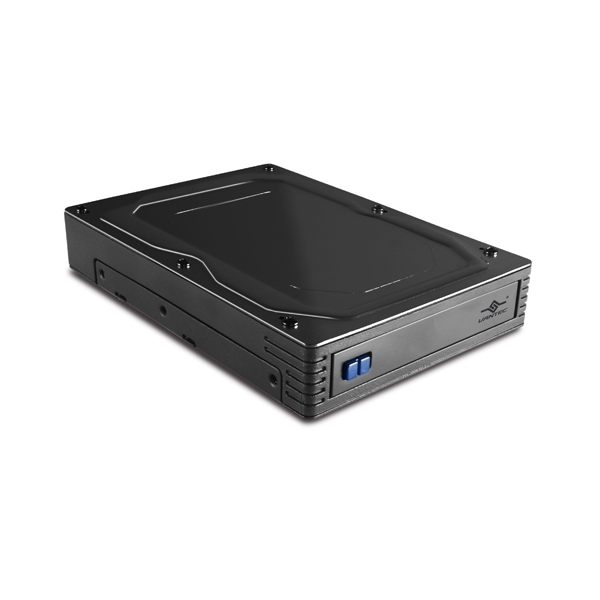 The ability to convert a 2.5” SSD/HDD to 3.5” HDD form factor is now so much easier with the introduction of this latest addition to the Storage Accessories, the new 2.5” to 3.5” SATA SSD/HDD Converter, this Converter transforms any 2.5” SSD or HDD into a 3.5” Standard Hard Drive form factor. 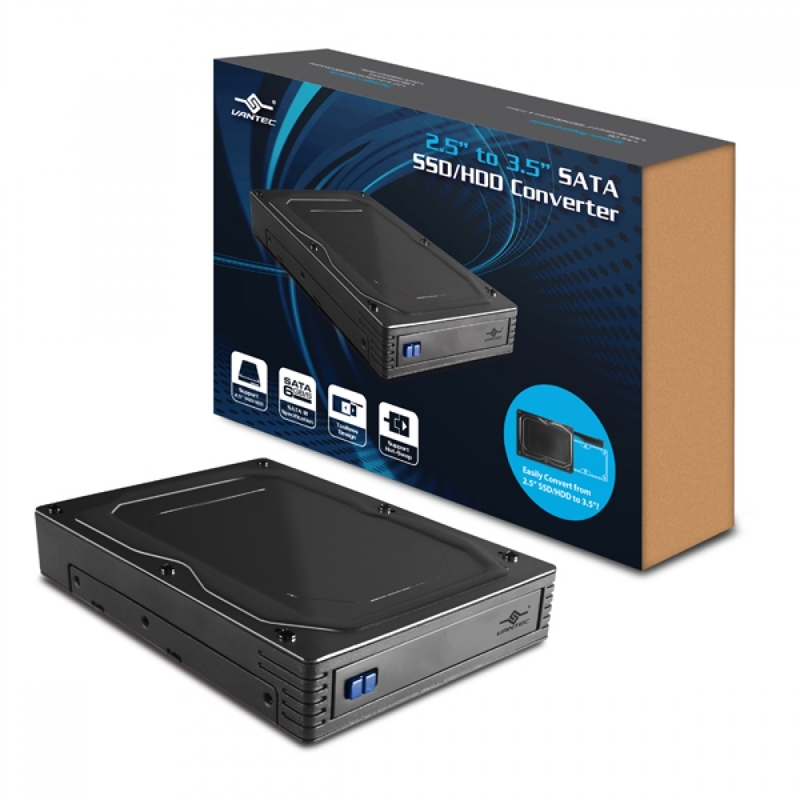 Made with Aluminum and Steel Alloy casing for heat dissipation, this versatile converter emulates the same Standard 3.5” HDD size, SATA connection and pass thru design for the fastest 6Gbps speed possible for any 2.5” SSD/HDD place into the converter. 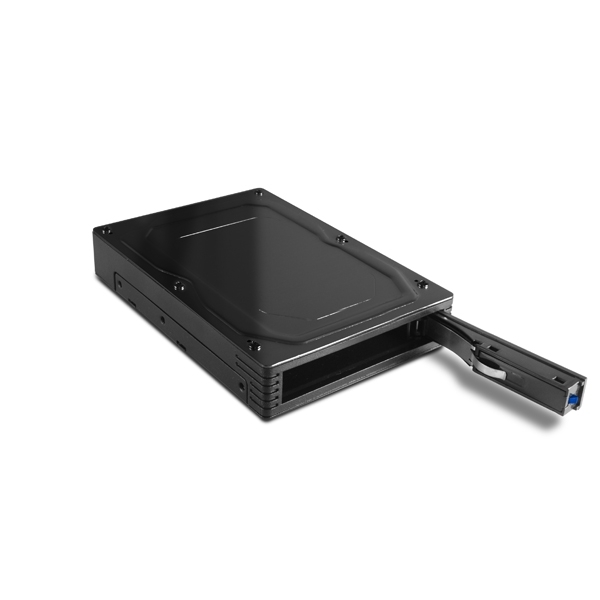 In addition the Patent NSS connector on the converter is design to support many cycles of hot swap (50,000), thus keeping the hard drive safe and in a durable environment. This screw-less and tool-less designed converter makes it easy to add and change drive on this 2.5” to 3.5” SATA SSD/HDD Converter.